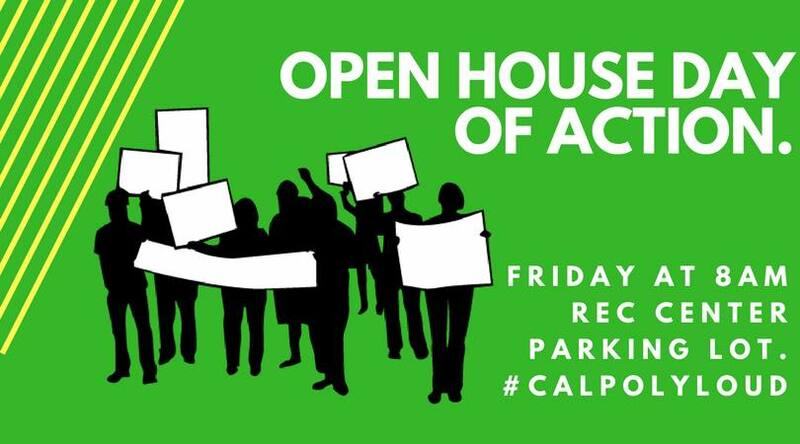 Cal Poly students are planning a protest, “Open House Day of Action” at Cal Poly’s Open House Friday at 8 a.m. at the parking lots behind the Recreation Center to continue voicing their frustrations with President Jeffrey Armstrong’s and the university’s decisions. The protest is co-sponsored by the Cal Poly Democrats, Cal Poly MEXA, Cal Poly Queer Student Union, Cal Poly Students for Quality Education, Comparative Ethnic Studies Student Association, and Triota Feminist Activist Community. The students, according to a press release, are frustrated with rising student fees, Cal Poly’s low Latinx student success ranking, Cal Poly’s lack of diversity, Milo Yiannopoulos coming to campus, student food insecurity and more. According to the event’s Facebook page, the protest will begin on Slack Street and will go on throughout the day.